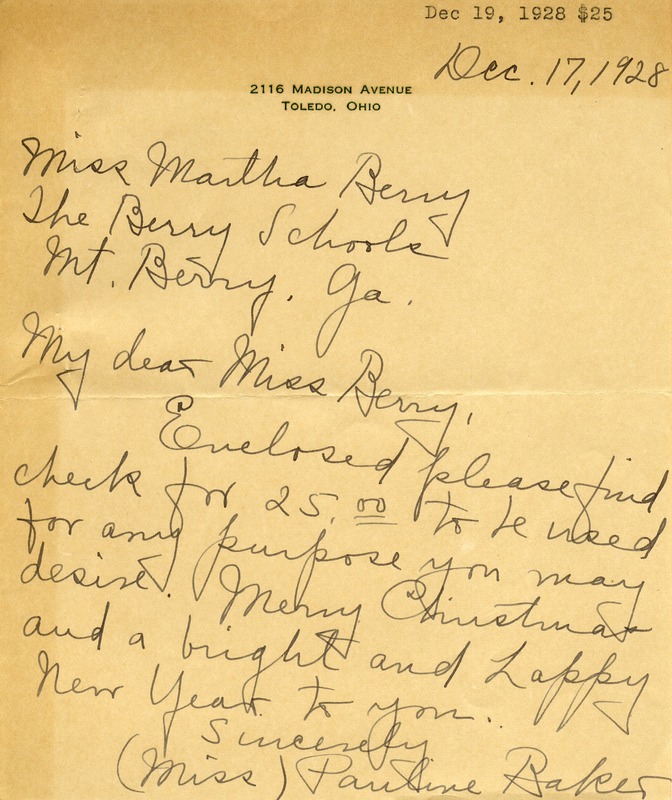 Miss Baker writes to Martha with a check of 25 dollars to be used for any purpose Martha desires. Miss Pauline Baker, “Letter to Martha Berry from Pauline Baker.” Martha Berry Digital Archive. Eds. Schlitz, Stephanie A., Aaron Jackson, et al. Mount Berry: Berry College, 2012. accessed April 21, 2019, https://mbda.berry.edu/items/show/6594.